Spring 2018 marked the 35th anniversary of the report A Nation at Risk: The Imperative for Educational Reform. The study was an urgent call to action lamenting the “rising tide of mediocrity” in American schools, and it helped launch the modern school reform movement. As has tended to happen every five years or so, this milestone prompted renewed criticism of the significant gap between the report’s aspirations for a “Learning Society” and the current state of American education. Such critiques serve an important purpose: we need honest assessments of the extent to which our efforts as a nation have fallen short of our commitments. Any agenda for meeting those commitments, however, must be informed by a present-day perspective. The nation has changed tremendously since the early 1980s, when U.S. Secretary of Education Terrel Bell appointed the panel of experts who went on to produce arguably the most cited document in the field. The U.S. population in 1983 was far more homogenous than it is today. The biggest concerns at the time were the Cold War and competition from the Japanese auto industry. Social media and artificial intelligence were decades away. We know more than we ever have about effective learning activities, student motivation, and what makes an environment conducive to learning. Released in April 1983, the National Commission on Excellence in Education’s report, A Nation at Risk: The Imperative for Educational Reform, warned ominously of “a rising tide of mediocrity” in American schooling. Meanwhile, in the decades since A Nation at Risk we have learned a great deal about how to teach all students to high standards. Thanks to advances in cognitive psychology, we know more than we ever have about effective learning activities, student motivation, and what makes an environment conducive to learning. We have new school designs with a track record of preparing at-risk youngsters for success in college and beyond. And, while we have yet to achieve such success at scale, recent experience in educational reform has greatly clarified the problems that still need to be solved. The current portrait of America’s students is one of great complexity. Within the past few years, the country’s public schools have become, for the first time, majority nonwhite. A record number of Americans are foreign born. More young people are economically disadvantaged than at any time in recent history. A majority of students in public schools now qualify for free or reduced-price lunches under federal guidelines, a commonly used indicator of family poverty. The diversity of languages, life experiences, and needs among today’s students is unprecedented. At the same time, the level and quality of education required for success are at all-time highs. Since the 1980s, the overall number of jobs in the United States has grown by 35 million, but in that time the number of jobs that require only a high school diploma fell by 7 million. This gap in economic prospects, between those with and those without a postsecondary education, has only increased in the years since the Great Recession of 2007–10. There is little debate as to what is driving this divergence. Automation and outsourcing have dealt a blow to once decent-paying occupations involving routine activities (e.g., manufacturing and administrative support). Meanwhile, many of the jobs that entail nonroutine activities fall into two categories: low-skill, low-paying jobs such as home health aid or cleaning; and high-skill, high-paying jobs in technical and professional fields that require a postsecondary education and advanced training. With recent advances in robotics and artificial intelligence, we can envision a not-too-distant future in which many nonroutine jobs will have either been eliminated or will involve working with sophisticated new technologies. Today’s students … will need to be able to think critically, assess and make use of new information, work effectively in teams, and use reasoning to formulate and evaluate various solutions to novel problems. The upshot is that all of today’s students will need more than the traditional foundational literacies in reading, writing, and mathematics. Everyone will need to be able to think critically, assess and make use of new information, work effectively in teams, and use reasoning to formulate and evaluate various solutions to novel problems. When adaptability is the coin of the realm, everyone must be equipped for a lifetime of learning. Core Components The Education Program invests in five interconnected areas: managing human capital to ensure strong teachers for all students; designing systems to meet the diversity of student needs; creating new pathways for postsecondary completion and careers; engaging the public in a conversation about education reform; and coordinating all efforts into a strategic framework. Lest one think this is simply a matter of employability, consider the importance of critical thinking to civic life in the modern world. As has become strikingly clear in recent months, civic engagement today involves sorting through a tsunami of information, much of it from unknown sources whose motivations are not readily apparent. Any dispassionate appraisal of our progress in meeting the nation’s educational challenges would be mixed at best. Results from the most recent National Assessment of Educational Progress (NAEP), regarded as the nation’s report card, prompted lamentations of a “lost decade of educational reform.” For the country as a whole, fourth-grade performance in reading and math was virtually the same in 2017 as in 2007; eighth-grade results were only slightly better. Meanwhile, large achievement gaps remain among racial groups. Other recent data show that we also have a long way to go at the postsecondary level. While we have seen some significant gains in both high school completion and college enrollment, great disparities persist among racial groups when it comes to college completion. On a more positive note, we have seen significant growth in the number of pathways available to students as they prepare for and progress through college. Nontraditional college students are becoming the new norm: around 40 percent are 25 or older, and more than one-third are enrolled part time. Postsecondary education is accommodating students in a wider array of circumstances. Meanwhile, the field of education has generally embraced the idea that all students need more than just the fundamentals. The most significant sign of this has been the adoption of the Common Core State Standards. Compared with earlier K–12 standards, the Common Core presents a more rational sequence for developing depth of understanding in reading, writing, and math. While one might infer from recent political rhetoric that the country has retreated from Common Core, the reality says otherwise. About half the states have responded to criticism by reconsidering the standards, but ultimately all but a handful have put in place expectations that embody the Common Core’s most critical attributes. Meanwhile, 19 states and the District of Columbia have adopted the Next Generation Science Standards (NGSS), a primary goal of which is enabling all students to gain a deep understanding of core scientific ideas and practices. Another 23 states have adopted their own standards based on the framework for science education around which NGSS was developed. Perhaps one of the biggest findings to emerge in recent years is that these new standards require new and often unfamiliar methods of teaching. For example, supporting early learners in developing the ability to construct a well-supported argument takes a special skill set, as does helping students understand complex concepts such as why a smaller number would result when multiplying a larger number by a fraction. Fortunately, major developments in the science of learning over the past two decades have afforded us an unprecedented window into how children acquire the kinds of knowledge and skills needed for college and career readiness. We know that students draw extensively on their own previously constructed mental models as they devise new ones. This puts a high premium on a teacher’s ability to surface, and then gently redirect, students’ reasoning processes. It also means cultivating a classroom climate that encourages risk-taking — by teachers and students alike. Unfortunately, we as a nation did not adequately prepare for the challenges posed by these new expectations. This has prompted pushback against Common Core, as teachers have objected to being required to do something very new and difficult without guidance. Parents have perceived the educators’ stress, especially since teachers have been additionally subjected to new evaluation systems — all while still trying to understand the new standards. Furthermore, families have been left out of the loop about the transition underway. At the core of school reform strategies is the goal of building the capacity of adults to provide all students with the experiences needed to become successful lifelong learners. • A broader learner orientation. We must better attune to the learning needs of educators and other stakeholders, including students. We also must promote a more expansive view of learner objectives — one that includes social-emotional qualities as well as academic mastery. • More coherent efforts within systems that learn and adapt. Reforms have too often been pursued as a series of isolated initiatives, developed without truly understanding the needs of the people involved. 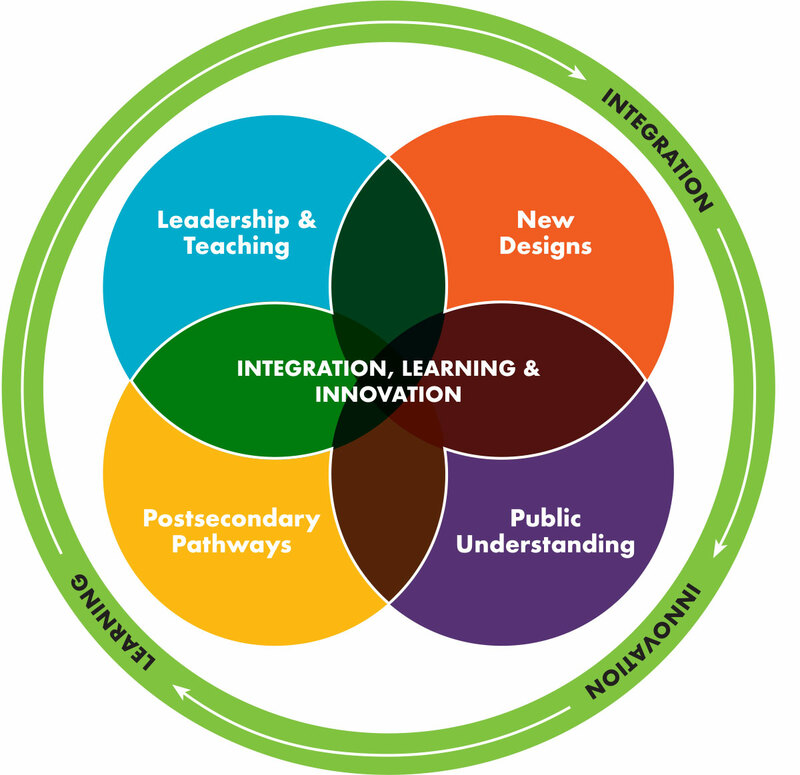 The field needs greater capacity to effect change through more-integrated approaches. • A more engaged and informed public. Nothing can doom an agenda for social change like an alienated constituency. The goals and strategies of educational improvement must be owned by more than just those who work within the system. Finally, we must commit to a sustained focus on equity. A society as diverse as ours cannot thrive without the full participation of every individual from every background. These shifts represent a significant reframing of the problems presented in A Nation at Risk. The overarching concern back then was that students in the United States were not sufficiently challenged. Hence, most of the report’s prescriptions were aimed at raising the bar through additional requirements (e.g., more high school coursework, more homework, and higher entrance requirements for teacher-preparation programs). Little in the report dealt with the process of learning itself. To be sure, the bar did need to be raised. But what we better understand today is what it takes to support adults and children in meeting new expectations. Part of that understanding is knowing that equity — a term that appears just once in A Nation at Risk — is not simply a matter of providing everyone with the same supports. If we can act on what we have learned in the last 35 years, and make doing so the focus of our work, then we may yet become the “Learning Society” we need to be.